by Paul Baldowski March 9, 2013 0 comments on What’s Really Going On? 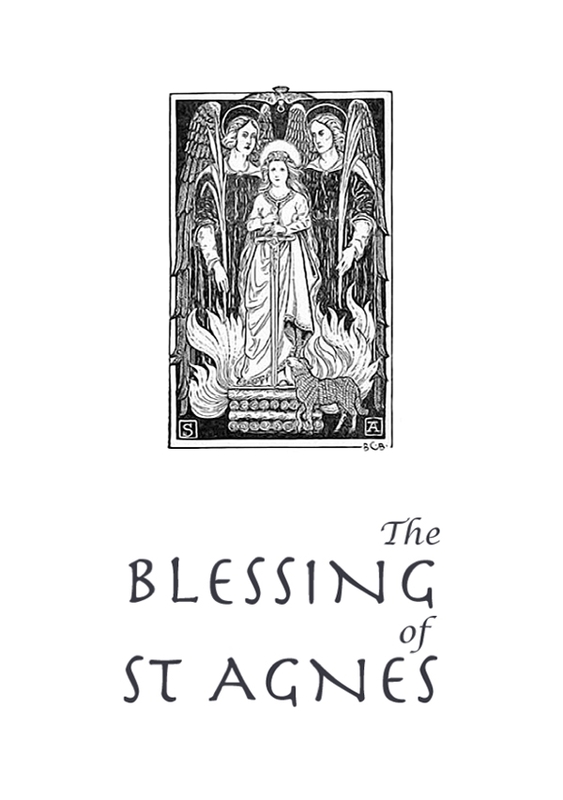 You can get a copy of The Blessing of St Agnes from RPG Now or Drive Thru RPG. The Sisterhood didn’t build the Chapel of St Agnes, nor did the location start out associated with the blessed martyr. While the benefactors of the Sisterhood did construct the outer chapel, the inner sanctum – beyond the Dusky Passage, existed in this place long before. Hundreds of years ago, a warrior race called the Kem, built a fortress in the woods overlooking the sea to the south and a significant trade route to the north. The fortress extended below ground and included storage rooms, barracks, open sleeping quarters and other necessities, locations that either needed to be kept cool or out of harms way. Unfortunately, the Yloe, sworn enemies of the Kem, defeated the warriors in a great siege that lasted for more than a year. The Yloe razed the upper fortress to the ground and then beat the Kem back into the rooms below. Thirsty for victory the Yloe showed no mercy and slaughtered every last inhabitant, killing the sleeping, the wounded, and the defenceless. The warrior sacked the location for treasures, supplies, and weaponry, then left it open to bandits and travellers. Long afterwards, the Sisterhood discovered the place during a pilgrimage to the Holy Stone of Het Mora, chancing across the location when one of their horses escaped. The place seemed to call to the Sisters, a site of potential filled with a sense of the lost. At night, a visitor might hear a forlorn cry for help or a moan. The truly unlucky may chance upon an actual Spectre in the sleeping quarters of the Sisters, a spirit that manifests impaled by three swords and with eyes gouged out. The tortured entity attacks blindly, seeking revenge on those who tortured and killed it, unaware of the passage of time and the passing of the Yloe. If the characters head into the southerly passage alongside the Sister’s dorm in the lower left of the map, they can hear a sound like bubbling water, perhaps from a stream beyond the wall. The gurgling sound grows stronger until the Spectre emerges from the dead end, taking anyone present by surprise on a d6 roll of 3 or higher. The tortured spirit attacks with clawed fingers, swiping wildly. The Kem warrior wears a padded jerkin, breeches and long boots. He wears shoulder length hair scraped back into a ponytail. Three swords skewered his torso and he shows signs of other wounds, with tears and rips in the fabric of his armour and clothes. Glittering streams of ethereal gore ooze from open wounds, including the empty sockets of his eyes. Characters may need to make a check to avoid sickening at the sight. A character investigating the wall at the end of the southern passage might, with a suitably difficult check or a slightly easier one if spending a great deal of time, find an area, about a foot above the ground, that sounds hollow. Hacking away the plaster and earth, the character will find, not too deeply buried, the skull of one of the Kem warriors. Close scrutiny reveals scouring around the edge of the eye holes, small groves and notches in the bone that suggest this could be the remains of the Spectre. Burial or a blessing on the bones will release the tortured spirit – and might bestow some good luck to the character who suggested it or completed the blessing.